You didn't actually think Obama would let Greenwald testify to Congress about NSA, did you? Four days ago, Representative Alan Grayson (D-Fla.) announced that he was convening an informal bipartisan Congressional hearing to talk about the National Security Agency’s surveillance program. Today, the hearing was canceled because President Obama scheduled a meeting for the same time with House Democrats. In an email to Politico, [Glenn] Greenwald responded that "Obama developed a sudden and newfound interest in House Democrats and scheduled a meeting with them for that same time." Raúl goes on to speculate about other possible reasons for the President's ploy. My take is that Obama had already lost face with Liberals over drone war and related issues. And I don't think there is one genuine Leftist or civil libertarian in the world who has any illusions left about what Obama is. Yet it was the American Leftist, law professor and political scientist Stephen F. Diamond who alone pegged Obama during the Democratic presidential primary campaign in early 2008. After studying Obama's political career up to that point he said that Obama was no Leftist; that he was an authoritarian -- although what specific type, he wouldn't speculate at that early stage. "Isn't that just like a Leftist," I observed sarcastically at the time. "When one of their own turns out to be a monster they say, 'Oh that's not a real Leftist.'" But I listened to Steve despite my grumbling, and made sure Pundita readers heard what he had to say. I am very glad I did. The American democracy may be strong enough to survive the Obama presidency, but there are many younger democracies that can count themselves lucky he wasn't born there. Well, back in 2008 it was a choice between the devil and the deep blue sea because John McCain is as scary in his own way as Obama. Onward, in the immortal words of Dave Ronfeldt. "The bill would strip the NSA of its authority to collect records in bulk -- the security agency would have to show that a specific individual is under investigation before collecting such information. It's being put up for a vote as an amendment to the 2014 Defense Department appropriations legislation." "The Snowden Effect" snowballs on, but a realist would say it's too late in the day. His face, his voice, rose in my memory when I read the following news report. Eric Nordstrom, telling the U.S. House of Representatives Oversight and Government Reform Committee during the first House hearing on the Benghazi attack, "For me, the Taliban is on the inside of the building." He was clearly referring to his bosses at the U.S. Department of State. It's funny, in a warped kind of way: After the NSA story broke a man named Gordon G. Chang, who'd published a book in 2001 that warned China's government would collapse in 2006, went onto CNN and onto Fox TV to issue another warning. According to his sources, which he couldn't name, Edward Snowden was probably a spy for China, and spies for China's government were inside the NSA and maybe also inside the FBI. Someone tell that fool that much worse than Chinese spies -- and Taliban -- are inside the building. More than a month after a former government contractor blew the lid open on sweeping government surveillance programs, Congress this week is engaging in one of the most robust debates it has seen in years on the balance between liberty and security. As early as Wednesday the House of Representatives will vote on legislation to strictly limit the surveillance powers the National Security Agency has assumed under the Patriot Act. The proposal, written in response to revelations that the NSA collects all of Verizon's U.S. phone records, has created unusual alliances and sharp divisions in Congress. The bill would strip the NSA of its authority to collect records in bulk -- the security agency would have to show that a specific individual is under investigation before collecting such information. It's being put up for a vote as an amendment to the 2014 Defense Department appropriations legislation. Leaders of the Senate Intelligence Committee on Tuesday called the House legislation "unwise," insisting that Congress is conducting proper NSA oversight. The program in question "has contributed to disrupting numerous terrorist attacks against our nation. It has been reviewed and authorized by all three branches of government and is subject to strict controls," committee chairwoman Sen. Dianne Feinstein, D-Calif., and vice chairman Sen. Saxby Chambliss, R-Ga., said in a joint statement. Army General Keith Alexander, the director of the NSA, privately briefed House members on Tuesday on how the legislation could hurt national security. Across town on Tuesday, Sen. Ron Wyden, D-Ore., a privacy advocate who sits on the Senate Intelligence Committee, hailed the House debate as a crucial step in the right direction. Wyden said that he's not familiar yet with the specifics of the House legislation, but he said, "The fact that this has made it to the floor of the House of Representatives is unquestionably good." "If we do not seize this unique moment in our constitutional history to reform our surveillance laws... we are all going to live to regret it," Wyden said at an event at the liberal Washington think tank the Center for American Progress. "The combination of increasingly advanced technology with the breakdown of checks and balances on government action could lead us to a surveillance state that could not be reversed." The amendment to stop the NSA's blanket collection of information was sponsored by libertarian-leaning Rep. Justin Amash, R-Mich., but has found supporters in staunch liberals like Rep. John Conyers, D-Mich. Online privacy advocates are also commending Amash's amendment, while at least one grassroots group has been mobilizing public support for it, urging voters to call their congressmen about it. Wyden, meanwhile, noted that the Senate is pursuing its own reforms in the wake of the revelations about the NSA programs, including legislation that would make declassify the opinions from the secret court that authorizes surveillance activities, the Foreign Intelligence Surveillance Court (FISC). Wyden said that in the summer of 2009 he received a written commitment from the Justice Department and the Office of the Director of National Intelligence that the government would start declassifying those opinions, with the proper redactions. Since then, however, exactly zero opinions have been released. "We are going to keep the public debate alive," Wyden said. America is becoming a police state. What's the solution? To get the solution first define the problem correctly. The rationale for the police state isn't based on big government, or capitalist or socialist economic theories. The rationale is entirely dependent on collectivism. So if you're seeing signs of a police state everywhere you look in the United States the first question to ask is whether the society has become collectivist. Yes it has, and profoundly so, but the collectivism wasn't created by Marxism or socialism or fascism. It was created by the social science of economics. To be precise it was created by Americans' acceptance of economic theories as the ruling principle in their society. Explaining how all this happened would be a long story for readers unfamiliar with a 300 year-old argument called the Paradox of Thrift and efforts by the U.S. government and Federal Reserve to reverse engineer the paradox; this in the attempt to perpetually stave off a repeat of the Great Depression. But to skip over much history and theorizing, after the Great Depression Americans became willing to give up considerable control of their personal financial matters in exchange for a government promise that the country would never again experience a devastating depression. To fulfill this promise the Federal Reserve was tasked with designing and implementing monetary policies that steered the economy past the shoals of runaway depression and runaway inflation. Sounded good on paper and for a time it was good in actual practice, considering what Americans wanted. Then, times changed. After the currency "dollar peg" ended in 1973, the Federal Reserve and U.S. Treasury had to engage in increasingly complicated monetary maneuvers to maintain U.S. dollar hegemony in a world of floating currency exchange rates -- maneuvers that often ran counter to U.S. fiscal policy and the personal finances of Americans. In other words the economists have to think like collectivists and so does everyone in government who deals with them. 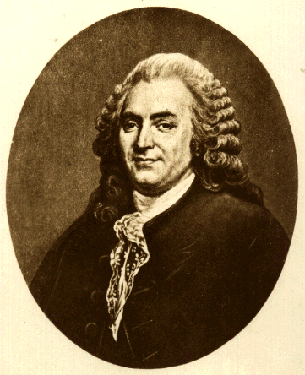 It all makes sense in a highly abstract way -- and it will make more sense once you study the Paradox of Thrift, which was thought up or at least formalized by Bernard de Mandeville (pictured above). That blasted paradox, which Mandeville seems to have conceived as a political satire, has been denounced as a fallacy by several economists. But fallacy or no, it takes its enduring power from an underlying truth: What is good for the individual is not necessarily good for a collective of individuals. How things progressed from that simple observation to American collectivism is a mind-bending tale. But the punch line is that it's not possible to confine economic thinking to only one area in a society when monetary policy is enforced by government fiat. This is because of the pervasive effect of monetary matters on just about all aspects of life in the USA -- and for that matter, life in most modern societies. So that was the path by which collectivism gradually came to dominate American society, despite all the lip service to individualism. But it's not only the Fed that thinks in collectivist terms. Politically conservative Supply Siders and liberal Keynesians think the same when they get down to brass tacks. Both believe that the USA will see a new Ice Age if Americans have control of their own money by hoarding it in savings accounts. For the good of the economy, the American collective must not sit on mountains of cash (or gold) in the manner of Scrooge McDuck. It must purchase consumer goods and invest in the financial markets, even if this means taking on considerable debt. And if the collective doesn't want to do this it must be 'encouraged' by Fed and government fiscal policies to use its money in a way that benefits the collective. As to why that's been so hard to see -- try this experiment: Every time you read the term "the economy" in a news report, cross it out and write "the collective." And every time you hear "the economy" mentioned on the nightly news, say, "the collective." Do that for a week and you won't need to ask how American collectivism has stayed hidden in plain sight. That's enough for today. I'll return with Part 2 of this post, which I'll title "From the Economy to a Police State." In the meantime here's the link to Wikipedia's article on the Paradox of Thrift, which also gives a little history about how the paradox got applied in modern times. And here's the link to Wikipedia's article on Bernard de Mandeville. Don't be fooled by his Paradox. Mandeville was a brilliant and prolific thinker and writer on philosophy and political economics. His ideas influenced Adam Smith and Friedrich Hayek. And John Maynard Keynes, who dusted off the Paradox of Thrift to support his miracle cure for perpetually staving off another Great Depression. American government officials might not have grasped Keynes's finer points but they liked the "perpetual" part. And here we are today. As to what Joel Osteen has to do with this, thereby hangs a tale. A few nights ago I almost broke my resolution. I'd dashed off a vicious reply to The (U.K.) Observer's British foreign affairs editor, Peter Beaumont, who'd criticized Ed Snowden for saying (at his July 12 presser) a few polite words about Russia's record on human rights. To give you some idea of how nasty I was, I started off by telling Beaumont: "I have four words in reply: Northern Ireland and Beslan Massacre." As to what the British government had to do with the massacre -- well, after it happened, Vladimir Putin called a presser that lasted 2-1/2 hours, during which he accused the British and U.S. governments of being ultimately responsible for the massacre because of their support of Chechen terrorists. Okay; he was overwrought at the time yet there were grains of truth in his statements. But I was just getting warmed up. I asked Beaumont if the treatment of many women and children under sharia law in the U.K. didn't count in his view as human rights abuses. I woke up not knowing whether it was day or night so I grabbed the remote. I pressed "36" to see if CNN was reporting on anything other than the George Zimmerman trial, but I guess my finger slipped and I got channel 6 instead. There was Joel Osteen, talking about how important it was to let unfair criticism roll off your back, and to let God protect you from the carpers while you focus on your goal. I cried out the TV screen, "Thank you, Joel Osteen" and told myself, "See? Let God deal with Snowden's critics. You keep to the high road." Besides, once one starts in with recriminations there's no end to it. Beaumont could have returned fire by asking if I was equating the British government's treatment of the Irish with Putin's treatment of the Chechens. This is how wars can last for centuries. However, there's also my blood pressure to consider, which has spiked several times since the New Year. Maybe if I could find a more constructive outlet for a head of steam, like meditation and prayer or Tai Chi, but until that day arrives I've decided to revert to being what I am in this lifetime, which is frankly not a very nice person. Two young men who put their lives on the line to expose very great government wrongdoing. During the past year, young people in many nations have been standing up as never before to demand integrity of their elected and appointed officials. An amazing development. I took the caption for the following photograph from USA TODAY but moments later when I returned to the page it seemed the caption had been deleted except for the photography credit. Here is the original caption: "Picture released by Human Rights Watch shows US National Security Agency (NSA) fugitive leaker Edward Snowden during a meeting with rights activists at Moscow's Sheremetyevo airport Friday. (Photo: Tanya Lokshina AFP/Getty Images)"
NSA leaker wants to stay temporarily in Russia until he can travel to Latin America. MOSCOW -- Edward Snowden said Friday that he has no regrets over leaking details about U.S. electronic spying networks and is seeking temporary asylum in Russia until he can reach one of the Latin American countries that has offered to take him in. "That moral decision to tell the public about spying that affects all of us has been costly, but it was the right thing to do and I have no regrets," he told a group of human rights activists and other public officials at a meeting at Moscow's Sheremetyevo airport, where he has taken refuge since June 23. Snowden, whose U.S. passport has been revoked, said he has formally accepted an offer of asylum from Venezuelan President Nicolas Maduro, as well as all others which have expressed support "and all others that may be offered in the future." The meeting included Vyacheslav Nikonov, chairman of the Russian state Duma, Sergei Nikitin, head of Amnesty International Russia, Vladimir Lukin, Russia's presidential human rights ombudsman, attorney Genri Reznik, and Tanya Lokshina, of Human Rights Watch. Dmitry Peskov, spokesman for Russian President Vladimir Putin, told Russian news agencies after Snowden's announcement Friday that Russia had not received a new bid for asylum from Snowden and that Putin would continue to insist that Snowden stop leaking information. Nikonov told Rossiya 24 that he asked him about Putin's previously stated conditions, and that Snowden told him he had. "He does not want to harm U.S. interests because he is a law-abiding citizen and a patriot," the Russian lawmaker said..
Snowden, in his remarks at the meeting, said governments in Western Europe and North American are acting outside the law by preventing him from traveling and called on the rights activists to intervene with Putin on his behalf. Snowden said the U.S. government and intelligence agencies have tried to make an example of him as "a warning to all others who might speak out as I have." "I have been made stateless and hounded for my act of political expression," he said. He also invoked the principles declared at the Nuremberg trial of Nazis in 1945 that "individual citizens have the duty to violate domestic laws to prevent crimes against peace and humanity from occurring." The American Civil Liberties Union, meanwhile, issued a statement Thursday asserting that the former defense contractor "has serious claims for asylum and has a legitimate right to seek asylum irrespective of the human rights record of the country that he ultimately ends up in." The statement charges that the USA has interfered with Snowden's right to seek asylum by revoking his passport and appears to have prevented him from receiving fair and impartial consideration of his application in many of the countries to which he has applied. Jamil Dakwar, director of the ACLU human rights program, and Chandra Bhatnaqar, senior attorney for the program, also warn that by infringing on Snowden's right to asylum, "U.S. actions also create the risk of providing cover for other countries to crack down on whistle-blowers and deny asylum to individuals who have exposed illegal activity or human rights violations. "That's a very dangerous precedent to set," the statement says. Edward Joseph Snowden delivered a statement to human rights organizations and individuals at Sheremetyevo airport at 5pm Moscow time today, Friday 12th July. The meeting lasted 45 minutes. The human rights organizations included Amnesty International and Human Rights Watch and were given the opportunity afterwards to ask Mr Snowden questions. The Human Rights Watch representative used this opportunity to tell Mr Snowden that on her way to the airport she had received a call from the US Ambassador to Russia, who asked her to relay to Mr Snowden that the US Government does not categorise Mr Snowden as a whistleblower and that he has broken United States law. This further proves the United States Government’s persecution of Mr Snowden and therefore that his right to seek and accept asylum should be upheld. Seated to the left of Mr. Snowden was Sarah Harrison, a legal advisor in this matter from WikiLeaks and to Mr. Snowden’s right, a translator. Hard to believe but it's only been 34 days since the first of Edward Snowden's revelations were published in the Washington Post and Guardian. It seems much longer because there's been one revelation after another that branches into complex interlocking issues. Then the Obama administration has made one mess after another in response to the revelations. The public is experiencing cognitive whiplash in the process of trying to sort it all out. So while I sympathize with Philip Ewing's lament in the July 5 Politico, Edward Snowden’s nightmare comes true -- the nightmare being that after all his revelations, "nothing will change" -- he needs to keep in mind that it's early days. Just this morning, Politico published a report that Ed's revelations about the NSA are impacting congressional privacy legislation. There have been many Americans laboring for years on the issue, to no avail, and now they finally have the wind at their backs. The Obama administration will also have to defend its National Security Agency surveillance programs in court. A privacy rights group plans to ask the Supreme Court on Monday to stop the NSA phone surveillance program that collects the telephone records of millions of Americans. It's the latest in a string of lawsuits over NSA activities. The Obama team is also under political fire for the phone and Internet surveillance programs operated by the NSA, details of which have been leaked by former government contractor Edward Snowden. The group, the Electronic Privacy Information Center, says it is taking the extraordinary legal step of going directly to the Supreme Court because the sweeping collection of the phone records of American citizens has created 'exceptional circumstances' that only the nation's highest court can address. The group, based in Washington, also said it was taking its case to the Supreme Court because it could not challenge the legality of the N.S.A. program at the secret court that approved it, the Foreign Intelligence Surveillance Court, known as the FISA court, and because lower federal courts did not have the authority to review the secret court's orders. Cuban President Raul Castro has backed offers of asylum by Latin American countries to former CIA contractor Edward Snowden, slamming the United States for bullying other nations. “These actions demonstrate we live in a world in which the powerful feel they can violate international law, violate the national sovereignty of other states and trample on the rights of citizens,” said Castro. Bochenek said the US actions were transforming the Snowden affair into a global saga ... Interfering with the right to seek asylum is a serious problem in international law. ... It is further evidence that [Snowden] has a well-founded fear of persecution." Attempts by the US to close down intelligence whistleblower Edward Snowden's asylum options are strengthening his case to seek a safe harbour outside of Russia, legal experts claim. 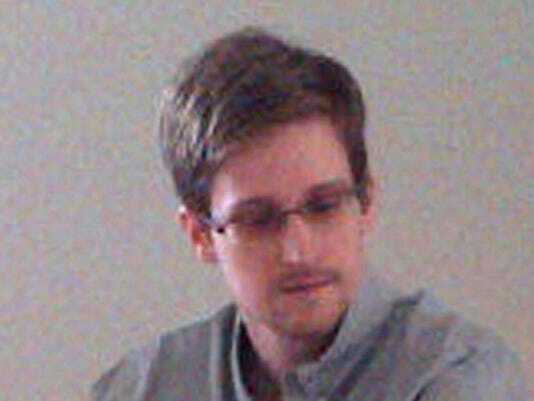 Michael Bochenek, director of law and policy at Amnesty International, said the American government's actions were bolstering Snowden's case. He said claims that the US had sought to reroute the plane of Bolivia's president, Evo Morales, amid reports that the fugitive former analyst for the National Security Agency was on board, and suggestions that vice-president Joe Biden had phoned the Ecuadorean leader, Rafael Correa, to block asylum for Snowden, carried serious implications. "Interfering with the right to seek asylum is a serious problem in international law," Bochenek said. "It is further evidence that he [Snowden] has a well-founded fear of persecution. This will be relevant to any state when considering an application. International law says that somebody who fears persecution should not be returned to that country." Venezuela's extradition treaties with the US contain clauses that allow it to reject requests if it believes they are politically motivated. The country's president, Nicolas Maduro, has praised Snowden for being a "young man who told the truth" and has criticised European countries' alleged role in the rerouting of Morales's plane last week. "The European people have seen the cowardice and the weakness of their governments, which now look like colonies of the US," he said on Friday. Spain said it had been warned that Snowden was on the Bolivian presidential plane, the first acknowledgement that the manhunt was linked to the plane's diversion to Austria. Foreign minister José Manuel Garcia-Margallo said: "They told us that the information was clear, that he was inside." He did not say who "they" were or whether he had been in contact with the US. Speaking from Buenos Aires, Bochenek said the US actions were transforming the Snowden affair into a global saga. "In PR terms, opinion here and elsewhere in Latin America has shifted precisely because of the appearance of interference with other governments' decision-making processes," he said. Bochenek said there was no reason why Snowden could not be granted asylum without setting foot in the country that had granted him refuge. The need to be present in the country where asylum is granted is a convention that can be ignored if nations see fit, he said. "It's true that a lot of states have that as a rule in their own domestic requirements, but it is not required by international law," he said.Neither did placing Snowden on an Interpol "red flag" list mean that states had to hand him over to the US. The procedure is an advisory measure that can be ignored, legal experts said. Venezuelan President Nicolas Maduro: "In the name of America's dignity ... I have decided to offer humanitarian asylum to Edward Snowden"
I am rarely struck speechless but I am so amazed that a national leader would show concern for another nation's dignity or even bring up the old-fashioned concept of dignity that I -- well, I must ponder. [slapping her hand] Don't be so amazed that you don't mind your manners, Pundita. Thank you, President Maduro. CARACAS (Reuters) - Venezuelan President Nicolas Maduro offered asylum to former U.S. intelligence contractor Edward Snowden on Friday in defiance of Washington, which is demanding his arrest for divulging details of secret U.S. spy programs. "In the name of America's dignity ... I have decided to offer humanitarian asylum to Edward Snowden," Maduro told a military parade marking Venezuela's independence day. "He is a young man who has told the truth, in the spirit of rebellion, about the United States spying on the whole world." It was not immediately clear how Snowden would react to Maduro's offer, nor reach Venezuela if he accepted. There are no direct commercial flights between Moscow and Caracas, and the usual route involves changing planes in Havana. It is not clear if the Cuban authorities would let him transit. Given the dramatic grounding in Vienna of the Bolivian president's plane this week over suspicions that Snowden was onboard, using European airspace could prove problematic. One alternative flight plan would involve an aircraft taking off from Moscow, refueling in Vladivostok, and then continuing east over the Pacific to South America. Russia has shown signs of growing impatience over Snowden's stay in Moscow. Its deputy foreign minister said on Thursday that Snowden had not sought asylum in that country and needed to choose a place to go. The White House declined to comment on Maduro's offer. Raising the possibility of at least one other option, Nicaragua said it had received an asylum request from Snowden and could agree to it "if circumstances permit". Comrade Mark Safranski has graciously volunteered to teach modern irrigation methods to potato farmers in Death Valley, California after he was caught flying the national flag of the Economy of the United States upside down on America's most sacred holiday, National Barbecue Day, and using the "F" word when he called the Economy's defense strategy of consolidating a massive data base on Americans in one place "dumb." Comrade Mark was joined in Death Valley by Comradess Rachel Maddow after she thoughtlessly used the third segment of her television show on the eve of National Barbecue Day to make fun of America's close allies Austria, Spain, Portugal and France, and to infer that Comrade Barack Obama was lying in his teeth about not putting pressure on every nation on the planet to ground any plane, hot air balloon or dirigible suspected to be carrying the American traitor Edward Snowden. Guardian report: "Edward Snowden withdraws Russian asylum request"
 According to WikiLeaks, Snowden has requested asylum from Austria, Bolivia, Brazil, China, Cuba, Ecuador, Finland, France, Germany, Iceland, India, Italy, Ireland, the Netherlands, Nicaragua, Norway, Poland, Russia, Spain, Switzerland, Venezuela. Edward Snowden has withdrawn his request for political asylum from Russia, the Kremlin said on Tuesday, further adding to the uncertainty over the US whistleblower's future. A spokesman for Russian president Vladimir Putin said Snowden withdrew the request after Putin's statement making clear that he would be welcome only if he stopped "his work aimed at bringing harm" to the United States. "Snowden really asked to remain in Russia," Dmitry Peskov, the spokesman, said. "Learning yesterday of Russia's position… he abandoned his intentions and his request to get the possibility to stay in Russia." Russia has refused to hand over Snowden, charged under espionage laws in the US after leaking top-secret documents on US surveillance programmes. He has been kept hidden away since 23 June, when he landed in Moscow's Sheremetyevo airport from Hong Kong. His attempts to win asylum have been fraught with difficulty. Rafael Correa, president of Ecuador, told the Guardian that his country, whose London embassy is sheltering WikiLeaks founder Julian Assange, was not considering Snowden's asylum request. He also said Ecuador never intended to facilitate Snowden's flight from Hong Kong, calling his London consul's decision to issue temporary travel documents to Snowden "a mistake". Speaking to Reuters in Moscow on Tuesday on the second day of a two-day visit, Nicolas Maduro, the Venezuelan president, said Snowden "deserves the world's protection". He said Venezuela had not yet received an asylum request from Snowden. Asked whether he would take Snowden back to Venezuela with him, Maduro answered wryly: "What we're taking with us are multiple agreements that we're signing with Russia, including oil and gas." But he added his support for the US whistleblower: "Edward Snowden is a 29-year-old young, brave man who didn't kill anyone, didn't give any reason for the start of war," Russian news agencies cited Maduro as saying. A WikiLeaks statement released early on Tuesday said that in addition to Ecuador and Iceland, Snowden had made asylum requests to 19 countries, including Venezuela, China, Bolivia, France and Germany. Maduro said Venezuela would examine the asylum request once it was received. "We think this young person has done something very important for humanity, has done a favour to humanity, has spoken great truths to deconstruct a world… that is controlled by an imperialist American elite," he said. At least two countries where Snowden requested asylum have said they will not cooperate. Radoslaw Sikorski, the Polish foreign minister, said that Snowden's request did "not meet the requirements for a formal application for asylum. Even if it did, I will not give a positive recommendation." Finland said on Tuesday that it could not accept his application as Finnish law required him to be in the country. Finnish foreign ministry spokeswoman Tytti Pylkko said that Snowden had sent his request by fax to Finland's embassy in Moscow. Peskov did not detail how Snowden withdrew his asylum request from Russia. The request was handed to a Russian consular official at Moscow's Sheremetyevo airport late on Sunday via Snowden's WikiLeaks handler, Sarah Harrison. In an awkwardly phrased statement released via WikiLeaks late on Monday, Snowden accused the Obama administration of "using citizenship as a weapon" and placing undue pressure on countries where he had applied for asylum. John Kerry, the US secretary of state, spoke with his Russian counterpart, Sergey Lavrov on Tuesday on the sidelines of a summit of the Association of Southeast Asian Nations (Asean) on Tuesday. Lavrov told reporters that the two did not discuss Snowden. Greetings from Washington, D.C.! Please excuse my American English as my Russian is nonexistent and my French so rusty that I would insult French readers if I attempted the language in this writing. Recently Igor M Bunin, director of the Center for Political Technologies in Moscow, in speaking to the New York Times about the problems that Edward Snowden could make for the Russian government, cited what seems to be a Russian folk saying: "Snowden is like a hot meat pie in your hands: even if you want to eat it very much, it's very hot and maybe it's better to throw it on the floor." We have a folk saying here in America: "When God hands you a lemon, make lemonade." 1. Mr Snowden could help organize an international conference in Moscow that would lay the groundwork for international agreements aimed at eradicating cyber warfare. The conference would run concurrently with Mr Obama's visit so that he and the security advisors traveling with him could attend. 2. In the months leading up to September, Mr Snowden could give public lectures in Russia about the grave danger of cyber warfare and governments deploying this kind of war in secret. And he could lecture on the danger of governments deploying the latest computer technologies to surveil their own citizens in secret. If there is any one person who could draw public attention to the urgency and gravity of the cyber war issue, it would be Edward Snowden. And if there is any one country that could protect Mr Snowden and give him a platform to warn all peoples and teach them about the dangers of cyber war, it is Russia. I might add that if Mr Snowden was involved in the kind of conference I propose, he would be able to draw the attendance of companies from around the world that have a large stake in maintaining Internet freedom and preventing it from becoming a battlefield between governments. Thank you, President Putin, for your attention to my suggestions. "Until recently, the United States had positioned itself as such an innocent victim of cyber intrusions by Russia and China that the State Department issued a secret demarche, or official diplomatic communication, in January scolding Beijing." Beyond inadvertent missteps, however, an examination of public statements over a period of years suggests that officials have often relied on legalistic parsing and carefully hedged characterizations in discussing the NSA’s collection of communications. Obama’s assurances have hinged, for example, on a term — targeting — that has a specific meaning for U.S. spy agencies that would elude most ordinary citizens. But even if it is not allowed to target U.S. citizens, the NSA has significant latitude to collect and keep the contents of e-mails and other communications of U.S. citizens that are swept up as part of the agency’s court-approved monitoring of a target overseas. The law allows the NSA to examine such messages and share them with other agencies if it determines that the information contained is evidence of a crime, conveys a serious threat or is necessary to understand foreign intelligence. President George W. Bush at times engaged in similarly careful phrasing to defend surveillance programs in the years after the Sept. 11, 2001, attacks. For now, the crumbling secrecy surrounding the programs has underscored the extent to which obscuring their dimensions had served government interests beyond the importance of the intelligence they produced. Secret court rulings that allowed the NSA to gather phone records enabled the spy service to assemble a massive database on Americans’ phone records without public debate or the risk of political blowback. The binding secrecy built into the PRISM program of tracking international e-mail allowed the NSA to compel powerful technology companies to comply with requests for information about their users while keeping them essentially powerless to protest. WASHINGTON — The U.S. says it gathers the same kinds of intelligence as other nations to safeguard against foreign terror threats, pushing back on fresh outrage from key allies over secret American surveillance programs that reportedly installed covert listening devices in European Union offices. Facing threatened investigations and sanctions from Europe, U.S. intelligence officials plan to discuss the new allegations — reported in Sunday’s editions of the German newsweekly Der Spiegel — directly with EU officials. But “as a matter of policy, we have made clear that the United States gathers foreign intelligence of the type gathered by all nations,” concluded a statement issued Sunday from the national intelligence director’s office. It was the latest backlash in a nearly monthlong global debate over the reach of U.S. surveillance that aims to prevent terror attacks. The two programs, both run by the National Security Agency, pick up millions of telephone and Internet records that are routed through American networks each day. Reports about the programs have raised sharp concerns about whether they violate public privacy rights at home and abroad. The concerns came as the former head of the CIA and NSA urged the White House to make the spy programs more transparent to calm public fears about the American government’s snooping. Several European officials — including in Germany, Italy, France, Luxembourg and the EU government itself — said the new revelations could scuttle ongoing negotiations on a trans-Atlantic trade treaty that, ultimately, seeks to create jobs and boost commerce by billions annually in what would be the world’s largest free trade area. European Parliament President Martin Schulz, said he was “deeply worried and shocked about the allegations of U.S. authorities spying on EU offices.” And Luxembourg Foreign Minister and Deputy Prime Minister Jean Asselborn said he had no reason to doubt the Der Spiegel report, and rejected the notion that security concerns trump the broad U.S. surveillance authorities. “We have to re-establish immediately confidence on the highest level of the European Union and the United States,” Asselborn told The Associated Press. In Washington, the statement from the national intelligence director’s office said U.S. officials planned to respond to the concerns with their EU counterparts and through diplomatic channels with specific nations. It did not provide further details. NSA Director Keith Alexander last week said the government stopped gathering U.S. citizens’ Internet data in 2011. But the NSA programs that sweep up foreigners’ data through U.S. servers to pin down potential threats to Americans from abroad continue. Hayden also defended a secretive U.S. court that weighs whether to allow the government to seize the Internet and phone records from private companies. The Foreign Intelligence Surveillance Court is made up of federal judges but does not consider objections from defense attorneys in considering the government’s request for records. Last year, the government asked the court to approve 1,789 applications to spy on foreign intelligence targets, according to a Justice Department notice to Congress dated April 30. The court approved all but one — and that was withdrawn by the government. Critics have derided the court as a rubber stamp approval for the government, sparking an unusual response last week in The Washington Post by its former chief judge. In a statement to the newspaper, U.S. District Judge Colleen Kollar-Kotelly disputed a draft NSA inspector general’s report that suggested the court collaborated with the executive branch instead of maintaining judicial independence. Kollar-Kotelly was the court’s chief judge from 2002 to 2006, when some of the surveillance programs were underway. Some European counties have much stronger privacy laws than does the U.S. In Germany, where criticism of the NSA’s surveillance programs has been particularly vocal, Justice Minister Sabine Leutheusser-Schnarrenberger likened the spying outlined in the Der Spiegel report to “methods used by enemies during the Cold War.” German federal prosecutors are examining whether the reported U.S. electronic surveillance programs broke German laws. Green Party leaders in the European Parliament called for an immediate investigation into the claims and called for existing U.S.-EU agreements on the exchange of bank transfer and passenger record information to be canceled. Both programs have been labeled as unwarranted infringements of citizens’ privacy by left-wing and libertarian lawmakers in Europe. The dispute also has jeopardized diplomatic relations between the U.S. and some of it its most unreliable allies, including China, Russia and Ecuador.